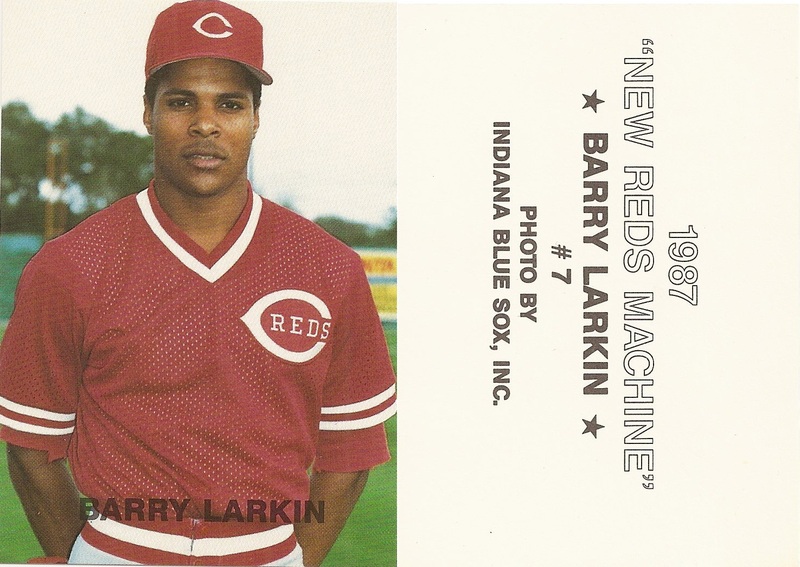 This unlicensed baseball set of the Cincinatti Reds put out by Indiana Blue Sox, Inc has no border, square corners and the players name on the front. 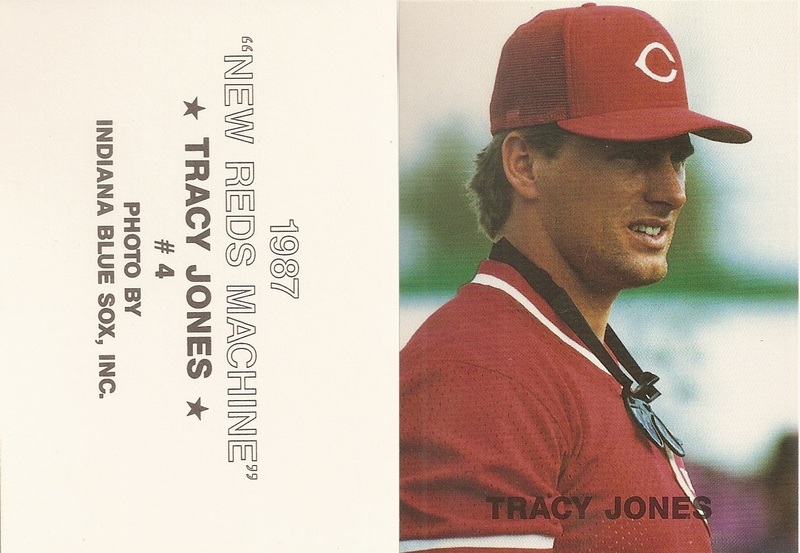 The back uses black text and includes the player name, the year, card number and manufacturer. 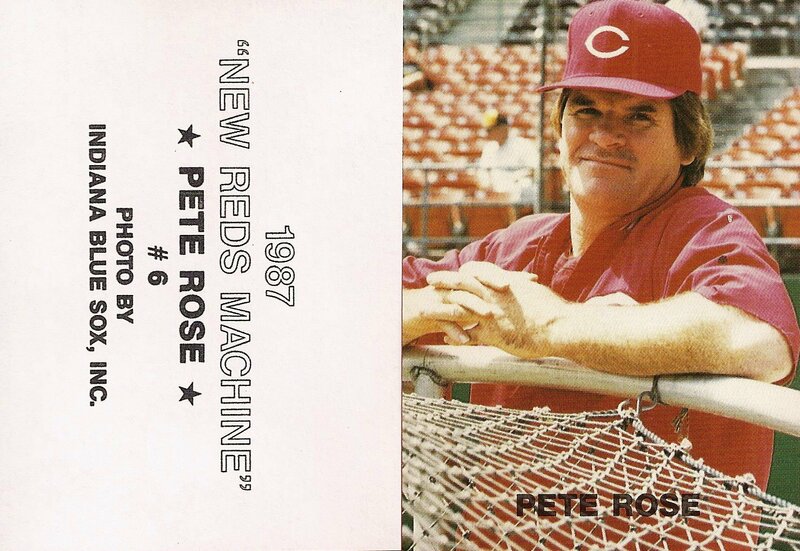 You commonly see the eight card set, but then additional cards were produced. 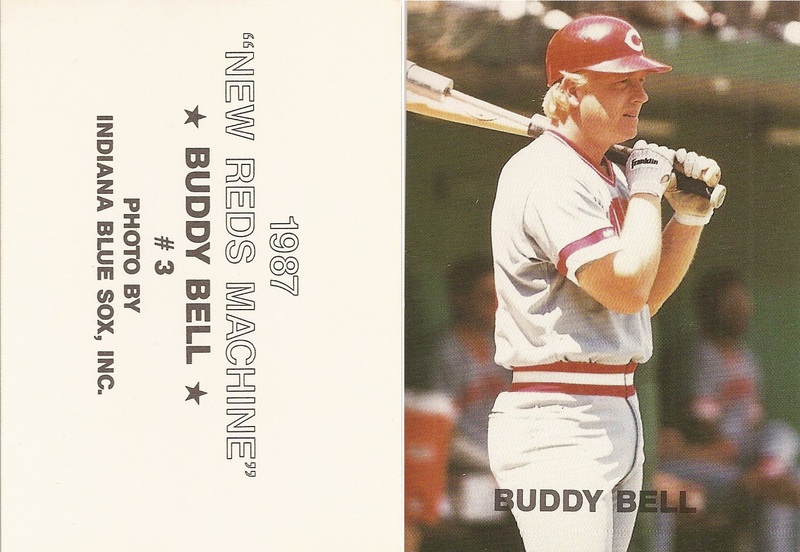 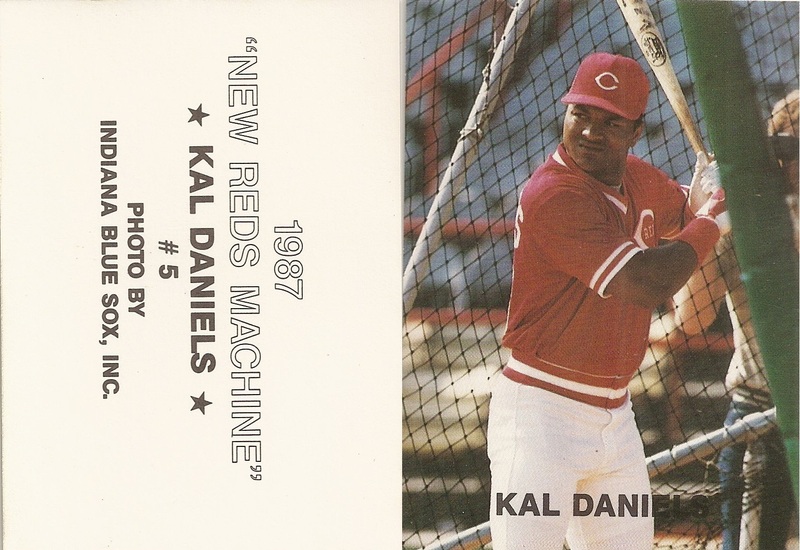 They say New Reds Machine on the back but do not reference Indiana Blue Sox, Inc. 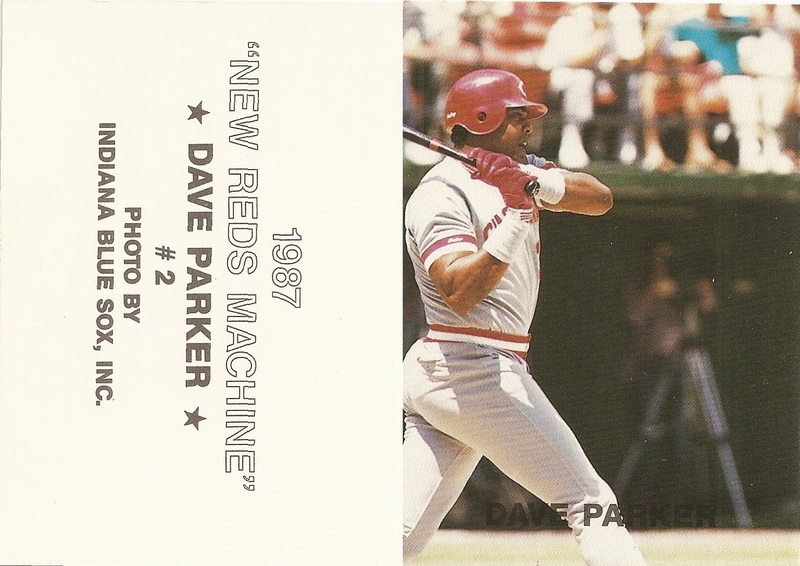 The card numbering picks up with Card #9 of Eric Davis and Card #11 of Pete Rose. 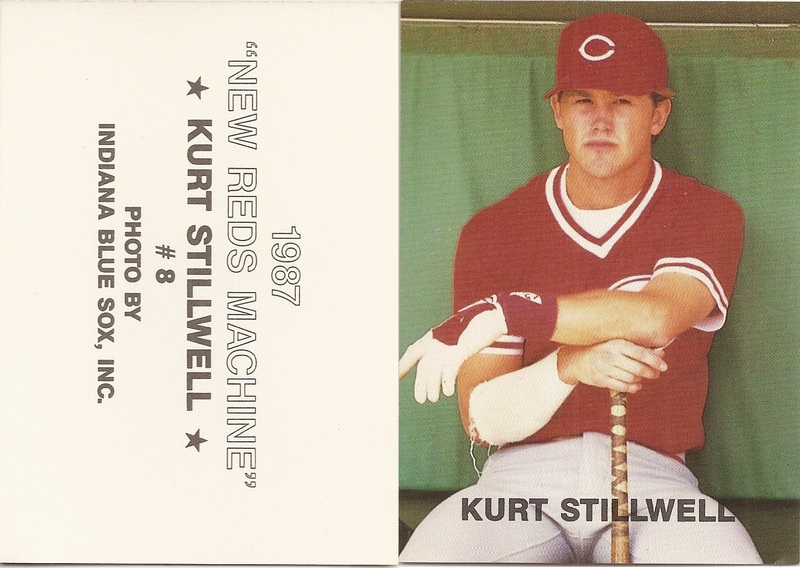 I assume there is a card #10 and there may be additional players as well.